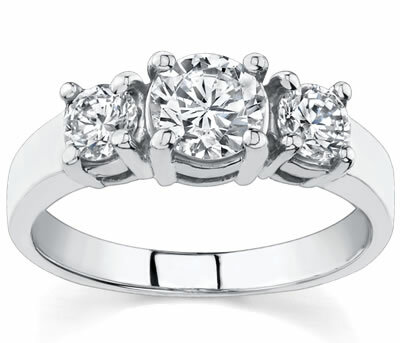 Novori’s three stone rings represent classic beauty and simple design. 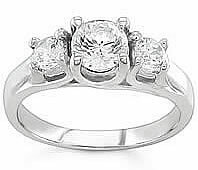 We have several sizes and styles available and all of our rings come in white gold, yellow gold, or platinum. 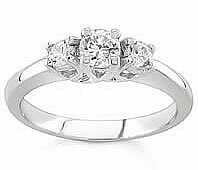 Representing the past, present and future of your love for each other, a three stone diamond ring makes a truly special statement. 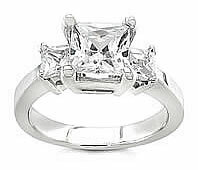 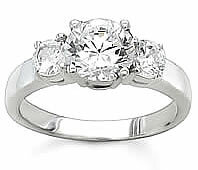 Three stone rings contain three design elements: the side-stones, the center diamond, and the setting. 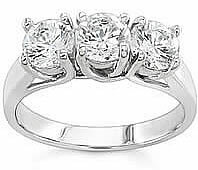 These three elements combine together to make a stunning piece of jewelry which she will be proud to wear. 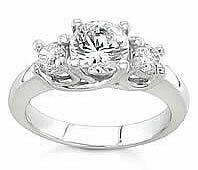 You can be assured that any three stone rings designed by Novori will be perfect in every way. 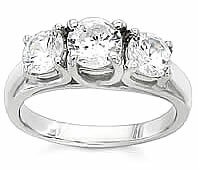 Our three stone rings are handcrafted from the finest metals available. 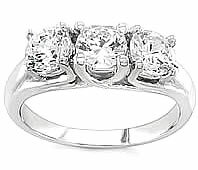 Your future bride will love her beautiful new three stone ring.